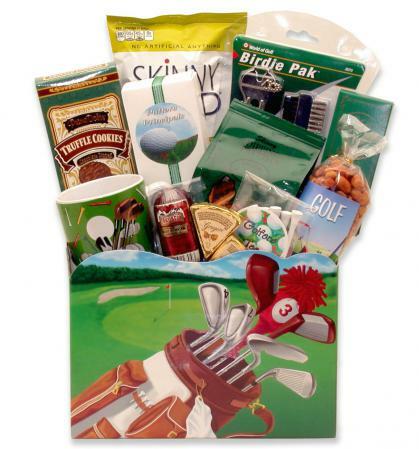 Golf-themed gift assortment of treats contains novelties and sweet and savory edible treats. 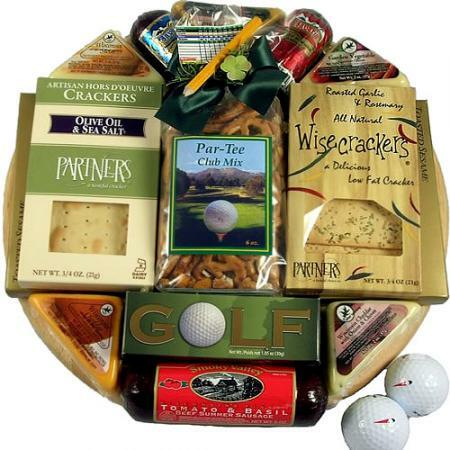 Birthday, Retirement, Thank You, whatever the reason your favorite golfer will love this gift basket. 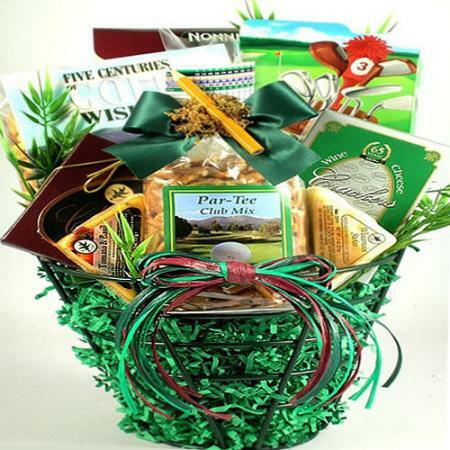 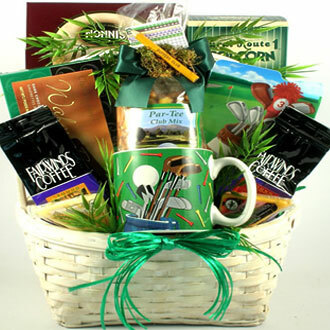 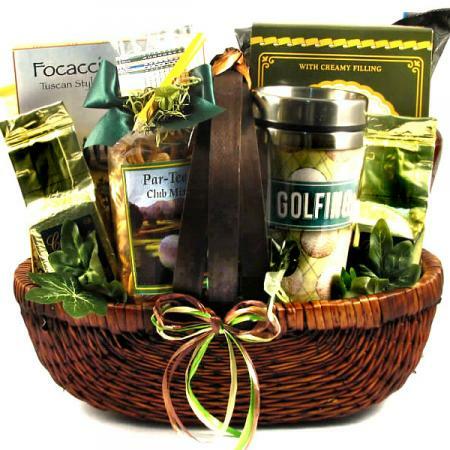 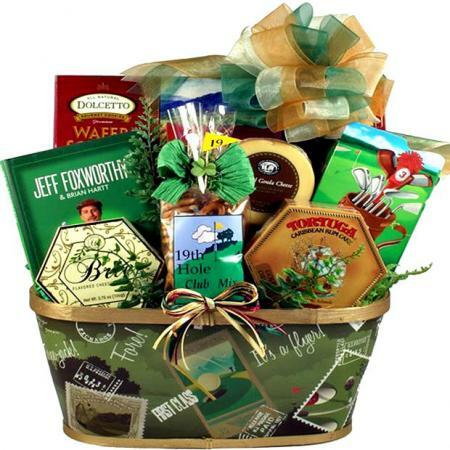 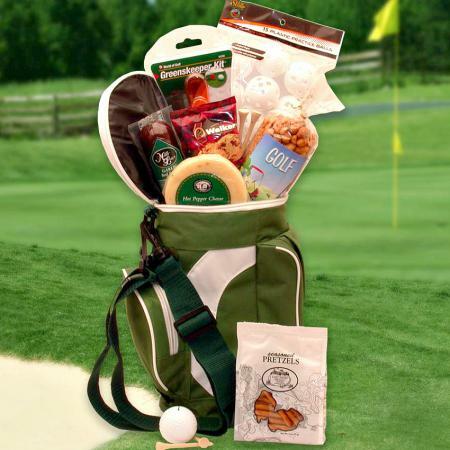 Make that special golfer's day with this Golf Delights Gift Basket. 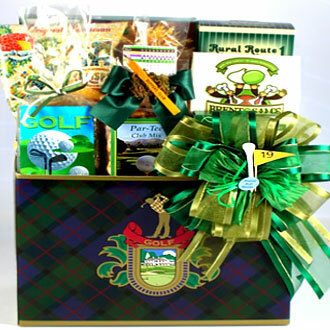 A golf-themed box is filled to the brim with sweet and savory treats, along with some fun golf-themed novelties for use at home or the office.